Sleep is crucial for the growth of the babies. Comfort needs to be delivered to make them get the best quality rest. Sleep well baby invites healthy growth and makes parents happy too. 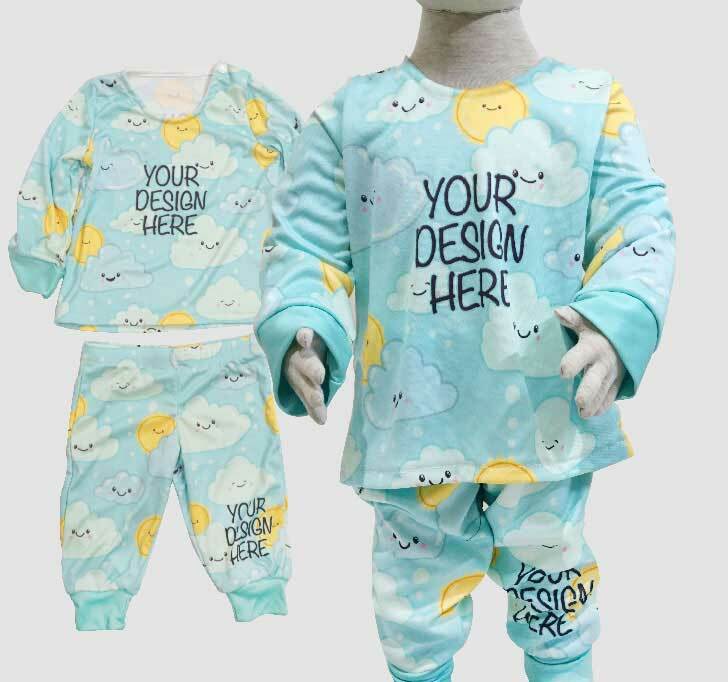 To have such a good sleep, the babies need pajamas sets but the ones available out there in the market have the same look and kind of boring. 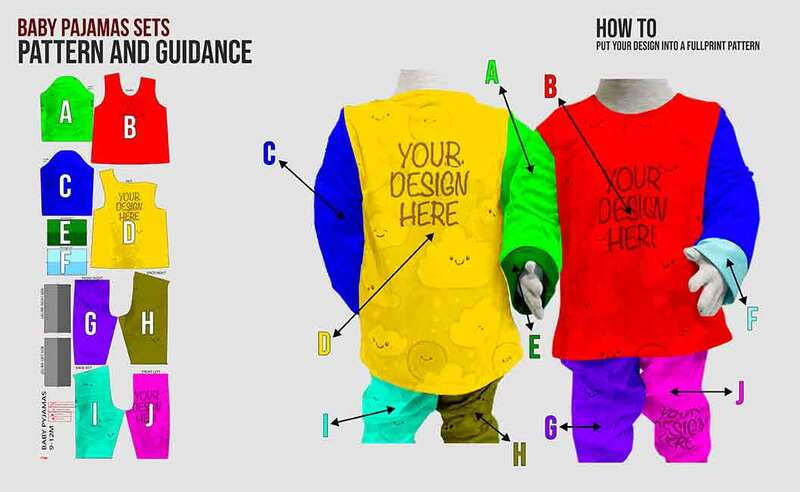 Luckily, we in Custom can provide you a fully customizable baby pajamas sets. 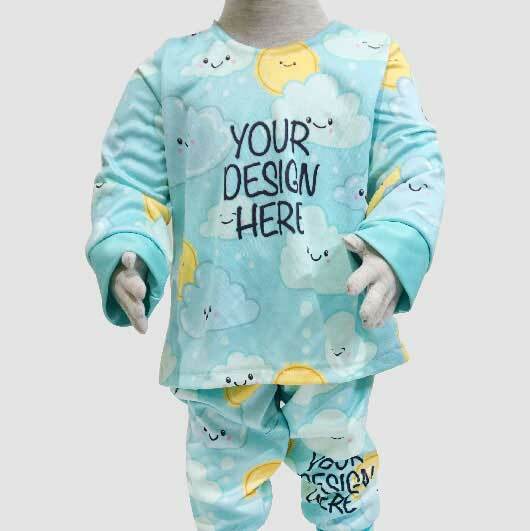 It is a set of baby pajamas worn for sleeping that can you print with any of your favourite designs such as pictures, characters, beautiful patterns, anime, and text on the whole part this item. It means, no other babies can have the same look pajamas as yours. 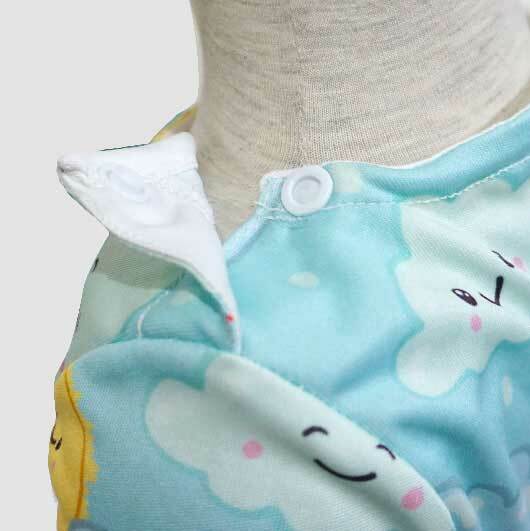 Moreover, the soft and nice fabric we use make the babies sleep tight at night. Simply upload your design and our team will make it for you within a quick process as the latest advanced printing technology support us. 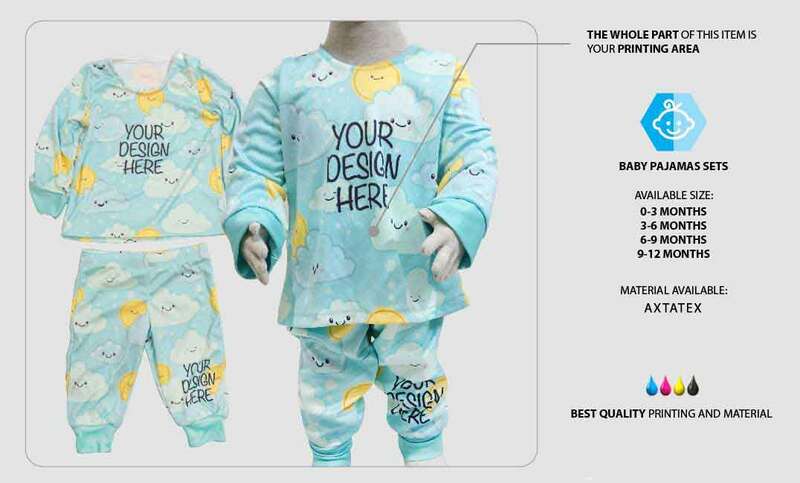 Order your own design baby pajamas sets now!